Seeing the Door: Is Good Health Truly Enough??? 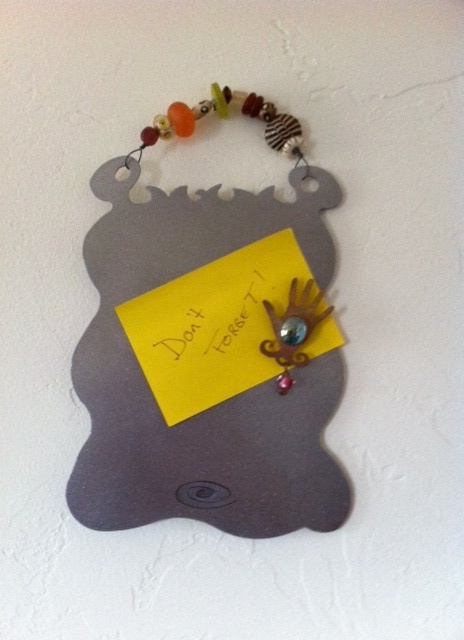 Note to Seeing the Door series: Wherever you go, possibilities surround you! By opening both your eyes and your heart, a door will always appear. Have you ever noticed how many different types of doors exist in the world? Nearly each and every door leads to an opportunity. Some doors are physical; other doors are metaphoric. All doors lead to opportunity. What a great question!!! There were many answers from the simple to the more complex; each one thoughtful and each one unique. The one response that left me in a quandary was, “Does anything else matter if you and your loved ones are healthy?” I love when people challenge me; I love when people make me think. Well my initial response was that good health is not enough. So many people have good health but are crumbling inside. I have seen ‘healthy’ people hurt. I have had friends who seemed to have it all choose to leave EVERYTHING behind. One of my favorite people committed suicide. So, if I think that way, good health is not enough. Upon further reflection I realized that in Judaism, we often pray for the healing of body and the healing of soul. So now I am much less conflicted. There are a lot of ways to look at being healthy. Different doorways lead to better understanding; I am really glad I took a few minutes to ruminate on what being healthy means. May we all be blessed with a healthy spirit and a healthy body. Seeing the Door: I Can’t Believe What I Forgot? Usually I am so thoughtful. A day doesn’t go by when I don’t think about where I came from and about the life I lived with my family. I remember the physical environment, the smells, the gifts (believe it or not), and the challenges. I remember the music, the stories, and the tears. Lots of darkness transpired in my childhood, but my father always brought music and stories into my life. Until the day my father died just over 12 years ago, he filled my life with stories and music. For those of you that know me well, you know that my childhood was scary in nearly every way, but there were moments when a story or music transformed my darkness into light. My father loved both and transferred that love to me. For that I am blessed. After all these years, I am glad that I can find blessings somewhere in all the muck. At this point, some of you might be wondering why am I bringing this up tonight. Well, it is simply because over the last couple of days, I kept thinking I am missing my dad’s yahrzeit, the anniversary of his death. Well today I finally did a double-checked and I realized that his yahrzeit was Thursday night and Friday. Funny, I am a little stunned at the realization. I could make any number of excuses, but perhaps the simple truth is that in this moment, I don’t care. Perplexing is the only word that comes to mind. After a lifetime of letting the memories of my childhood affect me and sometimes torment me for a period of every day, I have now moved forward. While I remember, the memories no longer absorb my daily thoughts. Wow. . . now that is a gift! 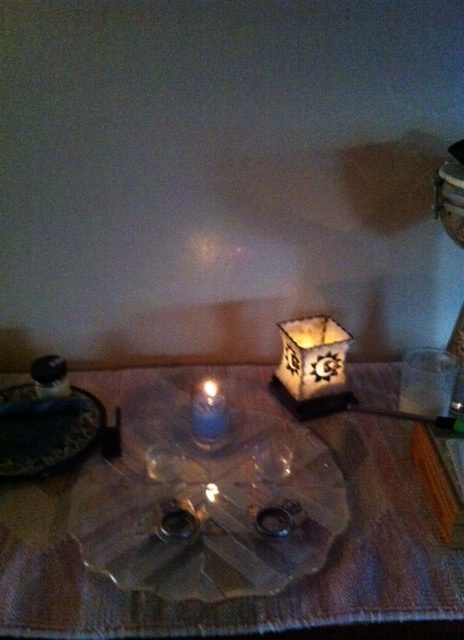 So, now that I remember, should I light the yahrzeit candle in memory of my father or should I just let go? While I am not certain what I will decide, I feel some sense of peace knowing that a part of me has truly let go of the intense darkness. For those of you that know my love of storytelling and music, take a moment and say thank you to Morry Bloomberg. I am so grateful for the gifts he bestowed upon me by example. Just by example, my father opened many doorways within my life. My stories, like his stories have allowed me to interact with people wherever I go; there is no such thing as a stranger. 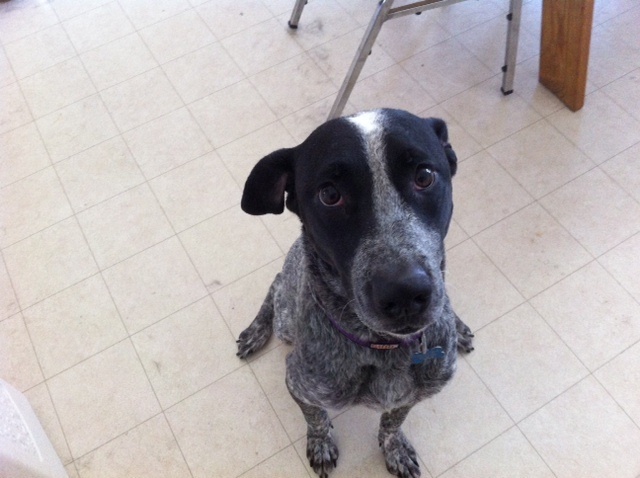 May Morry’s memory be a blessing for good. Good-bye Abba – I am so sorry I forgot your yahrzeit. Next Day’s Addendum: Tonight I will take a moment and light not a traditional yahrzeit (memorial) candle for my father, but a candle I made . . . . It feels like the right thing to do. A special thanks to those of you that took the time to share your thoughts. Words can heal; words can hurt. Each of us have experienced the power that can come with words. Healing with words can be life changing. Healing happens when you sit across from someone who is hurting and you have an open and loving conversation. Listening is a key to moving forward as is really speaking from your heart and saying what needs to be said. Living honestly and walking gently have an awesome power. As human beings, living in a place of warmth, kindness, and truth creates relationships that fuel our soul. Personally, I try to spread sunshine with words; it really isn’t difficult. It just means thinking before you speak and being conscious of the power of both your words and your mood. If you really take the time to think before you speak, positive interactions will happen. No question. The beauty of my dog Maddie is that always loves with good intentions and never speaks ill of anyone; we could all learn from her. Over the past months, I have seen the power of words time and time again. What I have learned is intention is a powerful tool. When you share your thoughts about people you know and people you don’t know, the words have the capacity to damage others. When you do it with the intention of destruction, that is called lashon hara, otherwise known as the evil tongue or gossip. Chofetz Chaim (a.k.a. Rabbi Yisrael Meir Kagan) describes lashon hara as the potential to be both truth or lies. Words can hurt; words can destroy; it almost doesn’t matter if they are truth or not. As time has passed, I am watching lashon hara destroy people and hurt those around them. The cycle of destruction is demoralizing to everyone that is part of the chain. Those people that speak it, those folks that hear it and those individuals that the gossip is about. Lashon HaRa has the capability of literally bringing down each and every one of those that are part of the chain. Sad and true. Over the years, I’ve found myself contemplating how to handle truth that needs to be spoken for whatever reason. What I have come up with is that the key to walking gently is to monitor your intentions. Are your sharing because change needs to occur or are you sharing in order to be hurtful. I often say what is on my mind, but my intentions are rarely to destroy, to hurt, or to create problems. My intention is normally how can we move forward. I really try to walk gently and spread sunshine. And I am not perfect; I can still be better. Lately I and many that I care for have become the object of manipulative conversations and slander; I am struggling with this reality. Why was the Second Temple destroyed? Because of sinat chinam, senseless hatred of one Jew for another. We haven’t changed as much as I would have hoped since the time of the Second Temple. We are still in the midst of baseless hatred. Instead of being reflective and looking at someone’s intentions, we tend to slander them and their beliefs or we spread lies and exaggerations. Often there is truth in what is being said, but if you don’t look at the complete picture, you begin single handedly hurting communities and people you once valued. We are all human beings. As we move towards the High Holy Days and as we reflect on how we hold ourselves as human beings, may we remember to walk gently, trust the silence a little more, and let go of anger a bit more quickly. May we remember that most of us have good intentions and do the best we can with the tools we have. Learn to give the benefit of the doubt and believe that most folks have a kindness about them. What have I learned about how I hold myself as I watch others? I have learned that there is power in silence; I have learned that words complicate truth; and I have learned that I have my own work to do. Each experience I have with others leads to seeing new doors. May we all learn to be more silent and believe in the good intentions of the people that exist in our lives. Photo courtesy of Ann Cameron Siegal! 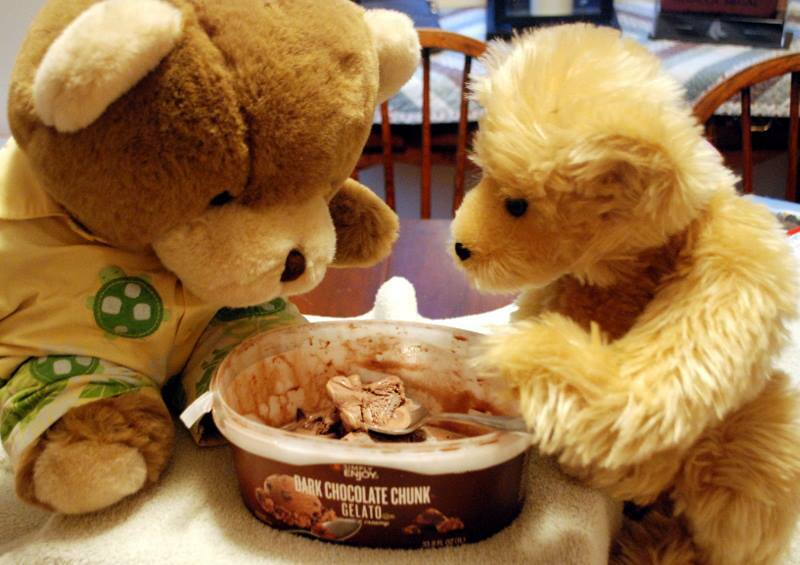 Like the bears above, I love ice cream. Pure and simple. I don’t allow myself to eat it often, but I do love it!!! So when I had a craving last night, I decided to share it with my friends on Facebook! So often I am both intense and reflective on Facebook, but last night I just had fun sharing my ice cream journey with others. And people responded. In a little more than 6 months, one of the holiest days of the year will arrive. The day encompasses intense joy for those that celebrate; the sweetness permeates even the most bitter of moods. And no, I am not talking about Yom Kippur, or Xmas, or Ramadan – the day is International Ice Cream for Breakfast Day. On Saturday, February 1, 2014, those that find ice cream to be an ultimately holy experience, will join together and have ice cream for breakfast; some will even partake in eating ice cream all day! As for me, I will plan a celebration with lots of ice cream and fair-trade chocolate treats; many flavors and toppings will add to the delight!!!. We will also serve the alternative options for the vegan and allergy sensitive folks among us; did you know that coconut milk ice cream is amazing! We will dance, play music, sing, tell stories, and eat ice cream and then eat more ice cream. For those in need of real food, we will have some of that too. The key is that my family will take time to open our door and flood it with good food, fun company, and a warm environment. So last night, as I lamented to my Facebook friends and community that I wanted ice cream and I didn’t want to leave the house to get it; an idea was formed. The time has come for me to finally have an International Ice Cream for Breakfast Open House. So, who’s coming and what instruments, songs, and ice cream will you bring to share? Time to start planning for some holiness!!! Our door is always open! C’mon on over! February 1st really isn’t so far away! Know your non-negotiables and honor them. Over the years I have learned to walk alone. I am not a loner, but I do value following the quiet voice that guides me without the interference of others ‘enlightening my sorry soul’. In truth, most of the people I have crossed paths with really do enlighten me and help me gain a better understanding of whatever issue embodies my mind at any given minute. Just the same, I have come to appreciate the learning I do from others while synthesizing the information silently. Ultimately, I have to think for myself and come to my own conclusions. So much more. . . . In short, our guts tend to tell us what is right and what isn’t as right. When we allow the quiet (and sometimes) loud voice inside of us to guide our actions, we live with integrity. If something doesn’t feel ‘right’ to us, it probably isn’t. Listen to that voice as you walk in the world. Over the past few years, I have learned to honor myself by not doing what doesn’t feel right. If for some reason, I can’t ‘get out of something” I am in the middle of, I will as soon as I can. When injustice surrounds you, it becomes part of you. When you eat food or where clothing that was created by the modern day slave labor chain, you are perpetuating the crime to humanity. The environment matters; living as it doesn’t destroys our world. Children are quite literally our future; it doesn’t serve us to silently standing allowing things to happen without actively trying to make a difference for good. Over the years I have found that silence is my friend. I don’t like bringing attention to myself all the times, but it is what I do. While it can be difficult to go against ‘the norm’, it is also an amazing feeling to be able to share the information I have while sometimes inspiring people to learn on their own. Only through gaining knowledge, following up with action, and ultimately sharing what you know/do is it possible to open the door that leads to a little (or a lot) of tikkun olam (repairing the world). 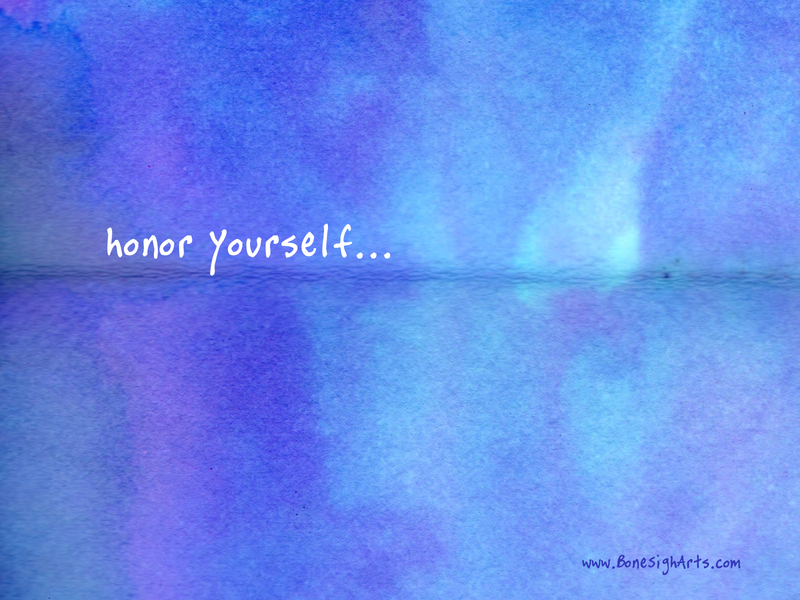 By listening to the quiet voice and living by the values I hold dearly, I am honoring myself. Quite honestly, if I don’t live according to my values then I have no way of thriving as a human being. While I accept that sometimes I have to do things I would prefer not to do, I still won’t cross the line for big ideological challenges. May we honor our non-negotiables as we listen to the voice that guides us (especially if that voice is for good). 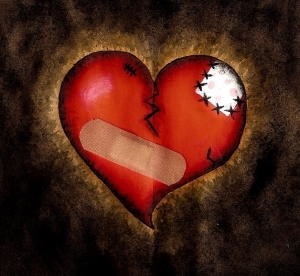 Most of us have had a broken heart, an intense loss that cripples our soul. Sometimes we heal and sometimes we just move forward; we really don’t have a choice. My heart, for one, has been shattered more times than I’d like to remember. I have lost lovers and friends, family members and loved ones. I have suffered incredible pain at the hands of people that should have loved me differently. And other losses happened because love evolved or death occurred. With each broken heart, I have found a way to mend even though the memories run deep. With each broken heart, I find a way to ride the waves and emerge a little stronger even if the pain stays with me. Moving through the losses is a non-negotiable. Only when tomorrows stop coming will I stop moving forward. Moving forward is the gift I give myself. Tonight, as I spoke to my nearly 20 year old, I told him that I felt horrible for a friend of mine going through a broken heart. Without missing a beat, he asked if my friend would need heart surgery. With laughter rippling through me and tears streaming down my face, I couldn’t stop laughing at how literal my precious son responded to my friend’s broken heart. Wouldn’t it be amazing, if all of our broken hearts could mend so easily. Reality doesn’t work that way. The good news is that broken hearts lead to new realizations, infinite possibilities, sweet opportunities. Life continues even after intense loss. If you open your eyes, new horizons will light the morning and evening skies; it might take awhile, but it will happen. One day you will step through the doorway and you will see the light. While the light might be muted, it will still have the ability to usher you into a new horizon. May each and every one of us find the sparks to move us through the doorways and towards the light. With the Rosh Chodesh Av (the first day of Av, the new Jewish month) beginning tonight, I have been processing how I can find meaning as we journey towards Tisha B’Av, the 9th of Av? On Tisha B’Av, we mourn the destruction of the both the First and Second Temples as well as many other horrible atrocities that were done to the Jews on this date. Historically, this day is the saddest day in all of the Jewish calendar; on the 9th of Av, we remember, we mourn, and for some of us, we look for ways to make sense of this time. 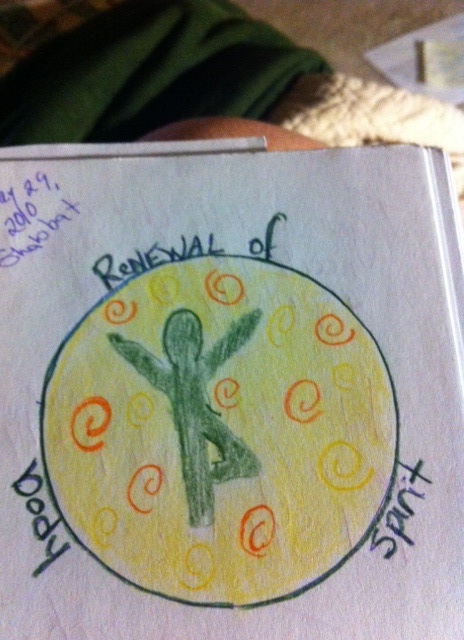 How can you create an opening or doorway that will allow for new insight when darkness prevails? For me, that means being reflective and finding lessons from the shattered remnants. 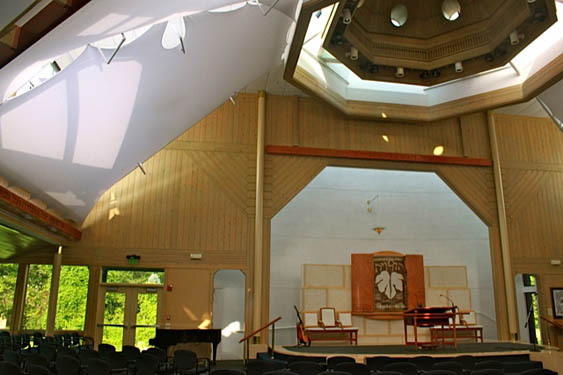 While many outdoor spaces offer me the most potent of spiritual places I have ever been, the most spiritual sanctuary and community has easily been Adat Shalom Reconstructionist Congregation in Bethesda, Maryland. There I found peace, spirituality, and community; it was and still is quite beautiful. So when I consider what a Temple could be to in modern terms, I return to Adat Shalom. That doesn’t take away what the First and Second Temples mean to the Jewish people, but it does help me find meaning in what the Temples could have meant to those that treasured them and all they stood for. Adat Shalom’s beauty quite literally takes my breathe away. Over the coming days, I will be openly reflecting on what we can learn from the Destruction of the Temples. One way that I gain a little empathy for a time that is somewhat beyond my comprehension is that I want to explore how my body is like a Temple both physically and metaphorically. As sacred beings, we create sacred Temples/sacred spaces by how we choose to walk in the world. Here is a working list of different ways each of us might be like a Temple. Spirituality doesn’t happen without a practice. In order to grow, I need to take care of myself, my community, and the world. Nourishing my body with good ingredients will ultimately lead me to be the best I can be. Surrounding myself with positive energy will create a healthy environment. Choosing to live with integrity is a way of honoring my essence. Sometimes what appears to be lifeless, stagnant, or even dead, is actually within a time of rebirth, re-visioning and ultimate growth. Gaining insight often comes from trusting that the silence will us to the answers. Taking care of yourself physically leads people to appreciate and take note of your beauty. Similar to the concept of Hiddur Mitzvah. Taking care of myself leads me and those that work with me to be part of the holy work.nd with this list comes a responsibility to take care of our bodies so we can do the holy work. All that we do for our bodies makes a difference and ultimately leads to a better makom, a sacred space. And yet it is important to remember that nothing is permanent; impermanence is a reality for all even that which is remembered in our collective memory. While both a sacred being and a sacred place create an imprint and potential impact the world in which they exist, it doesn’t mean that it has a permanent place within that existence. Yet each still has the possibility of being impact-ful during and exceeding their time. How each walks in the world matters. May the sacred beauty we develop within and around ourselves be parallel to how we see the Temple or any of the sacred places in our lives. Coming soon: Part 2 if ‘How is My Body like a Temple?’ will explore how can gain insight through Jewish Texts and prayers.